In today's modern world as technological advances make life easier for us, we seem to be rushing around more and having less time to ourselves. Office work is sedentary and yet can be physically and mentally tiring. Many of us have good intentions to keep fit and healthy, but often find that we are too tired at the end of a working day to get to the gym or cook healthy food. The end result is that we are becoming more stressed and less physically able to deal with it. When we are stressed, tired or overweight our posture is affected detrimentally, we are more likely to suffer from aches and pains, and more likely to have injuries. Osteopathy is able to help with many of the problems that stress can cause, such as tension, aching shoulders, sore necks, headaches, back pain and an inability to relax. 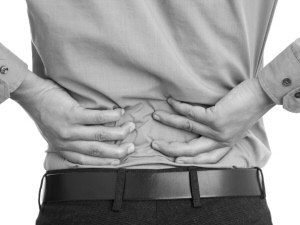 At the Clapham Osteopathic Practice we help people with these issues and many others, whether acute, subacute or chronic, including sciatica, repetitive strain injuries, joint pains, muscle aches and nerve pain. Often problems are caused by poor posture (affecting our spinal biomechanics), old injuries, past accidents, scar tissue and even difficult births - osteopathy looks to find these causative factors and rectify them. Our aim is to help people to help themselves by improving their core stability, work posture (ergonomics), demonstrating effective exercises and stretches to do and suggesting ways of keeping fit through activities such as swimming, pilates and yoga. Our patients include sportsmen, sportswomen, athletes, office workers, manual workers, singers, musicians, dancers and yogis. Many people also see us for annual check-ups, to make sure that everything is in good working order.